New. 1520019777 Special order direct from the distributor. Haven't yet dug in to this trilogy, though leafing through, it appears well-written. 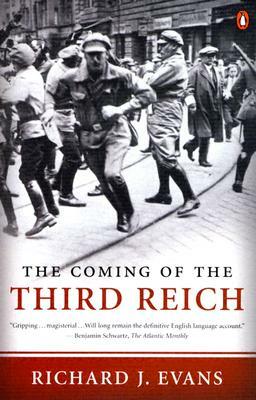 Covers well the background (from the foundation of Bismark's Germany) to the Nazizeit, giving many references for which serious students of the period would be grateful. Not even historians write in a vacuum but one cannot help feeling that the author's apparent socialist sympathies occasionally colour the narrative. The not necessarily consistent translation of even quite well known German phrases (e.g. 'Mein Kampf') in to English makes the text feel unnatural and leads to one's stumbling a little over it ; otherwise much to be recommended.